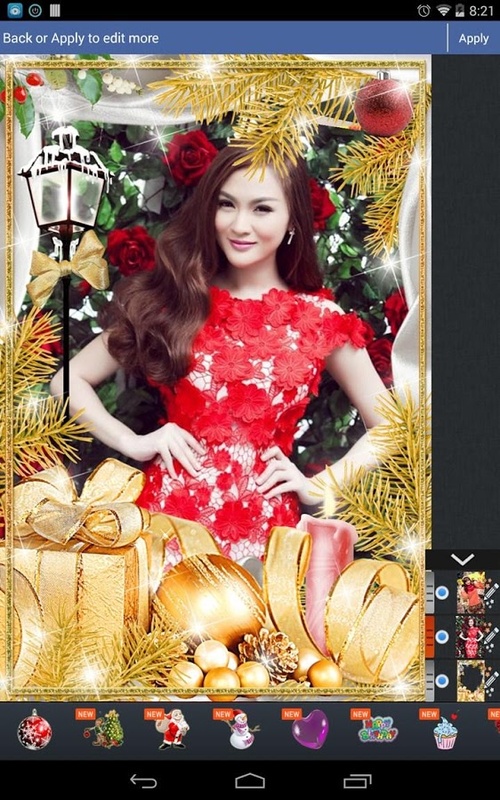 “Christmas Photo Frame Pro” is a collection of over 400 lovely photo frames to decorate your photos in this occasion of Noel. There are 1700 cute Stickers: lovely Christmas stickers such as Santa Claus, reindeer, pine, Heart stickers, Flower stickers, Emotion stickers …..
♥ ♥ ♥ ♥ ♥ ♥ ♥ ♥♥ ♥ ♥ ♥ ♥ ♥ ♥ ♥♥ ♥ ♥ ♥ ♥ ♥ ♥ ♥♥ ♥ ♥ ♥ ♥ ♥ ♥ ♥♥ ♥ ♥ ♥ ♥ ♥ ♥ ♥♥ ♥ ♥ ♥ ♥ ♥ Christmas Photos with family : we can create Simple photos and images on background. henr is using Hatena Blog. Would you like to try it too?